Let Curt Tell You About It! The mission period of California is one of the most interesting times in the history of the West. Very little art has been done on this period and the more I research it the more fascinating it becomes. 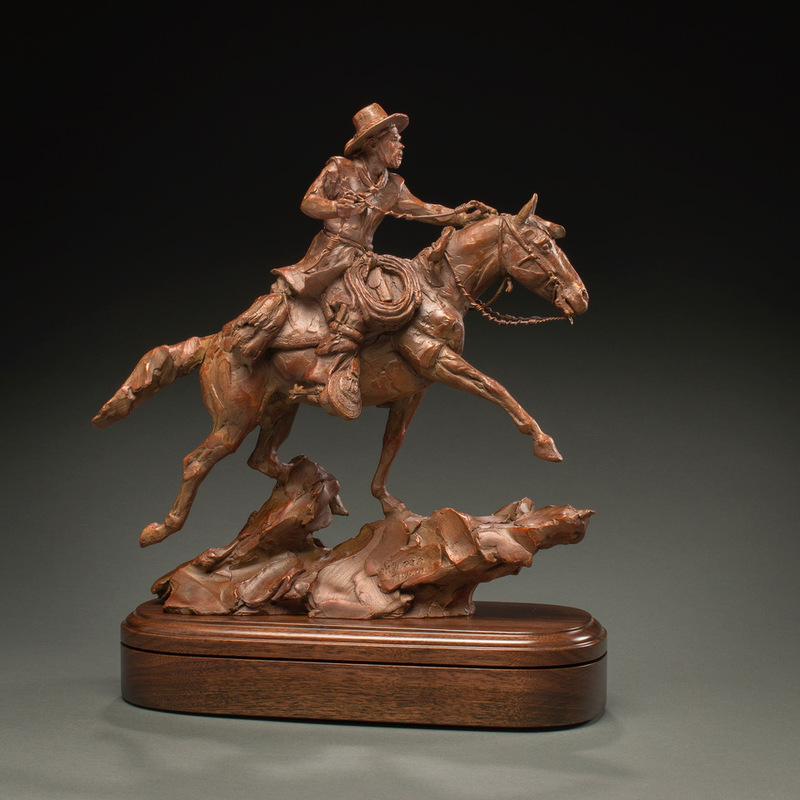 This is the very roots of the vaquero culture and of today’s buckaroo. 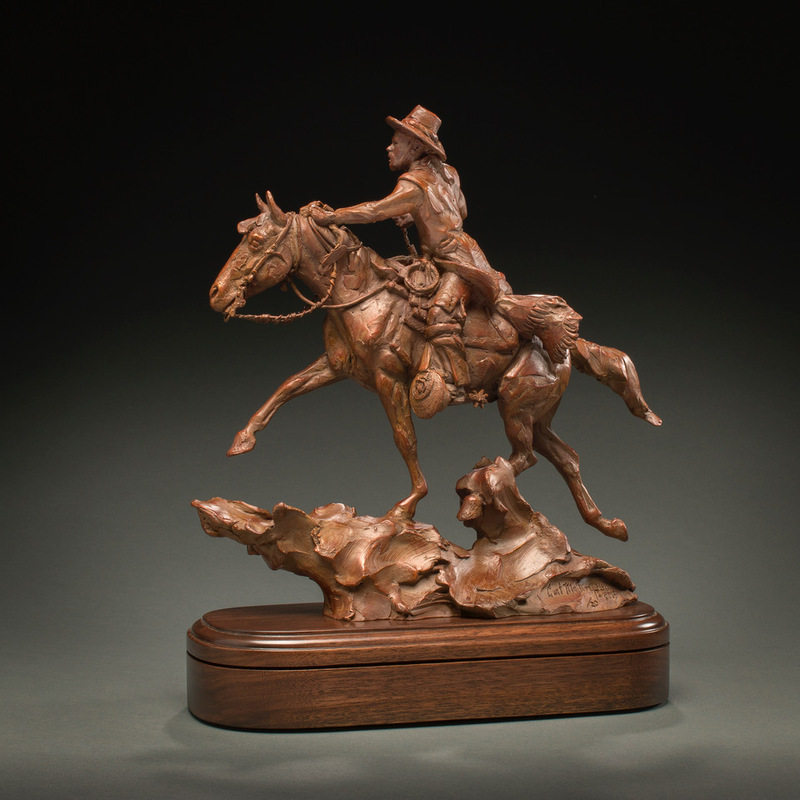 Through a quarterly publication on vaquero culture I became aware of a very little know piece of history that was perfect for a new sculpture. From the 1770’s to the early 1800’s, there was established in California a vaquero courier delivery system to relay message from one mission to the next. It was truly the original “Pony Express”. When there was correspondence that needed to go from one mission to another, a vaquero would be dispatched to make the delivery. These men were taking on quite a challenge. The land they rode through was extremely dangerous, filled with steep ravines, deep arroyo’s, high rocky mountains, and as a bonus, tribes of Indians who were hostile to them. It was not a job for the faint of heart but these men took it on with all of the pride and determination that is known of the vaquero. They would travel up to fifty miles a day, sometimes more, sometimes less, to get the job done. There was very little rest when making these deliveries and a run from Monterey to San Diego would require in the neighborhood of 87 hours to complete. Horses were changed at missions on the way but the vaquero would take only the rest he absolutely needed until the trek was complete. 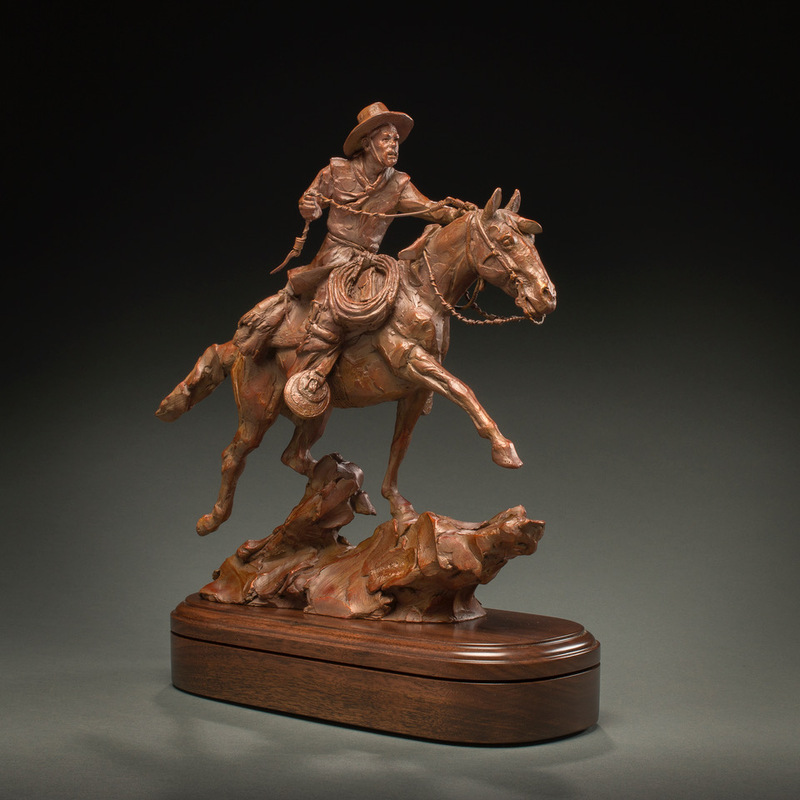 In this sculpture, we have a typical vaquero from this period mounted on a sturdy horse of that time. The horse is on the small side, these were extremely tough horses that knew their work and could do the job. The vaquero is wearing an outfit of that period. A short jacket, knee length pants with botas of rawhide around his lower calf. He has a red sash around his waist, always making a grand style statement. Additionally he carried personal items much like a wallet. He wears low heeled boots with his spurs and strap. His stirrup is covered by the very distinctive tapaderos of that time. These tapaderos were circular and slightly cone shaped to allow for the foot. The stirrup itself was made of wood about four inches deep. You will notice in his right bota there is a skinning knife that was used by the vaqueros to remove the hides from the cattle they slaughtered. As well, on the left side of his saddle is a machete knife he used to cut his way through thick brush. On each side of the forks of his saddle were two pockets. These were used to carry the dispatches in his charge. His horse is a seasoned veteran with a spade bit and around his neck a get down rope for times the vaquero might need to lead his mount. These two are determined to get their job done. They are moving briskly up an incline looking to top out and get to the end of their route. This horse is carrying a “Man on a Mission”.